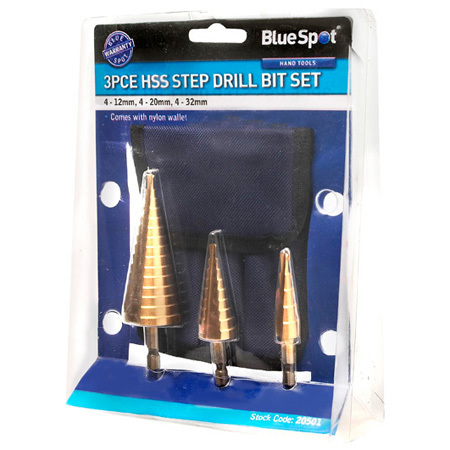 Blue Spot 3pc HSS step drills. 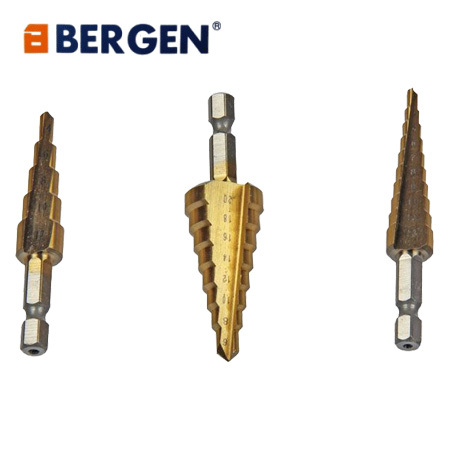 These step/cone drills are titanium coated for prolonged durability. This drill set is complete with a handy plastic wallet for storage. Each drill steps in 2mm increments. Sizes include: 4 - 12mm, 4 - 20mm and 4 -32mm.